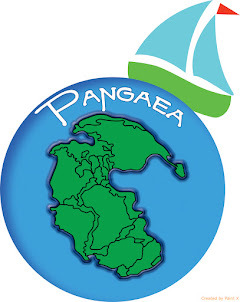 A blog of our adventures aboard s/v Pangaea, the places we travel on and off the boat, the friends we have met and will meet, and the life lessons we learn along the way. Enjoy! We escaped Papeete along with Kate and Allen on their boat "Itajime" on Tuesday and beat east to weather for four days to arrive in Tahanea yesterday. The trip started out easy with motor sailing due to light winds. By morning we had enough wind to roll out the jib and nicely sail for the day and night. The third day was trying due to strong winds and multiple squalls. We raised the storm staysail as the wind notched up to the twenty's and the seas built. The wind switched to the east which meant that we would have to send the next day tacking back and forth for the final night. We reached the pass into the motu on the fourth morning. The pass was exciting! A 7 knot current against us and 1 meter standing rollers gave our Perkins diesel a good workout. With the anchor down we both agreed that the trip was worth it. The Tuomotus are a special! Like the videos? Encourage us! Don't miss a post, subscribe via email.